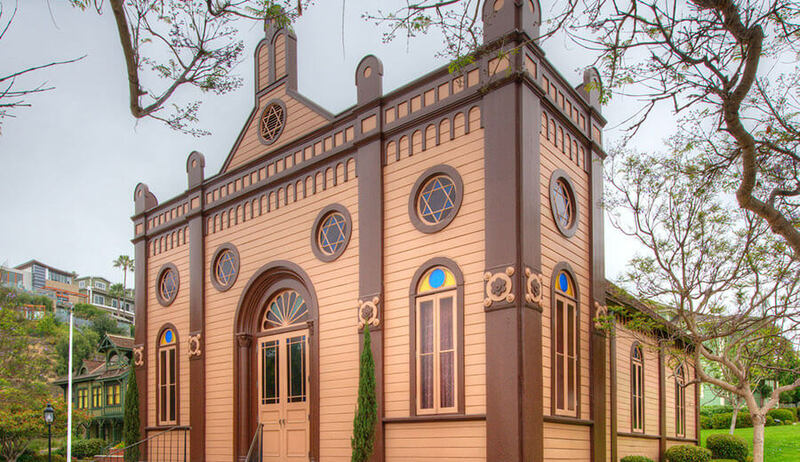 Originally constructed in 1889 on the corner of Second Avenue and Beech Street in downtown San Diego, this structure was San Diego’s first synagogue. 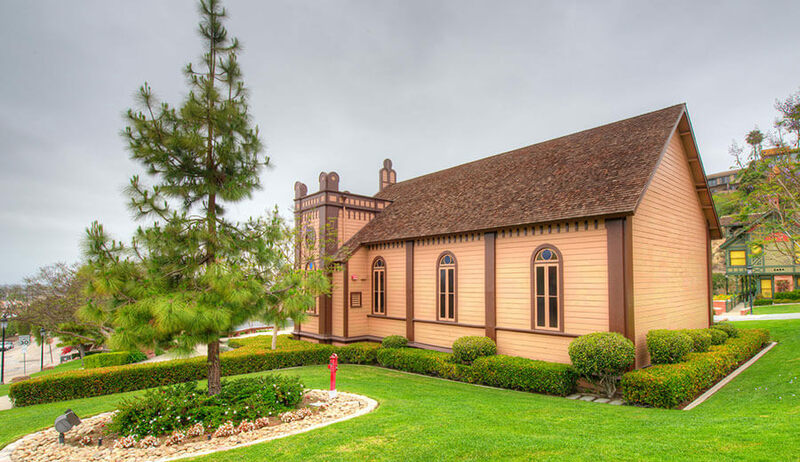 During San Diego’s pioneer days, various religious groups rented the building as a temporary location for services while their own churches were being built. 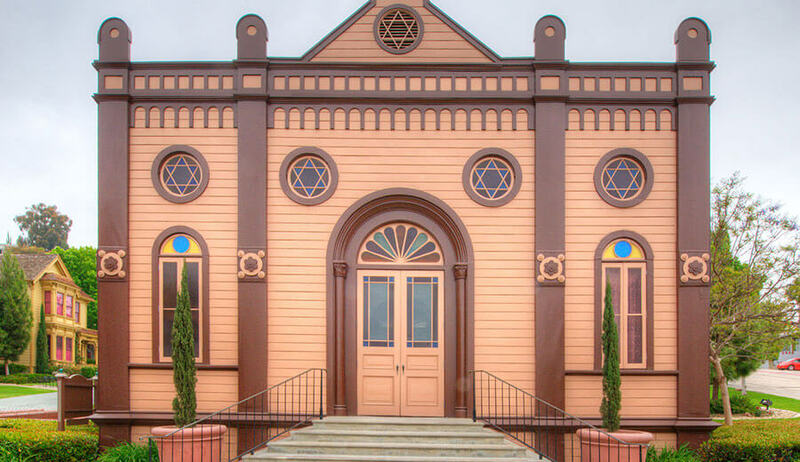 In addition, the building was owned by a variety of diverse religious organizations throughout its history. 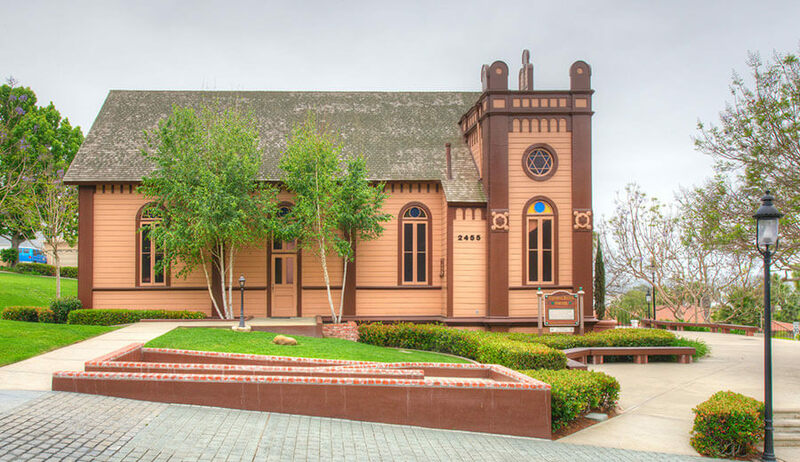 On the exterior, the original redwood construction was painted light brown and trimmed in chocolate brown. Roman Doric and Corinthian columns were original architectural features. The main double doors held molded wood panels. Rusticated wood skirting covered the concrete foundations. 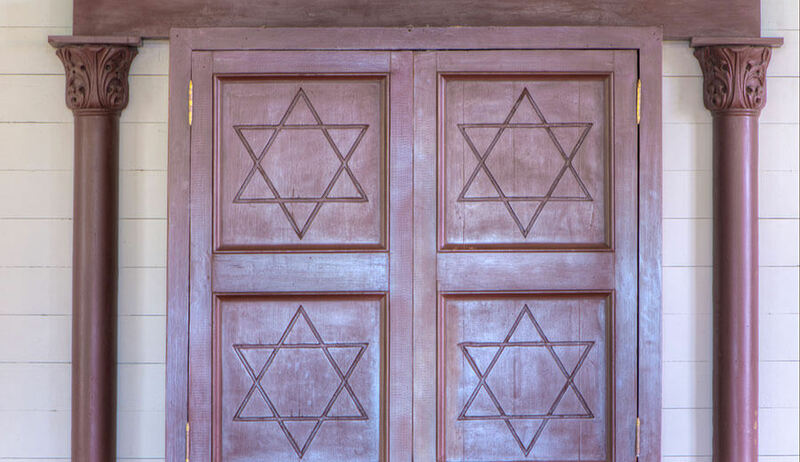 Windows were decorative leaded, stained ground glass incorporated into transoms and fanlights, circles, or six-pointed stars (Star of David). Interior redwood wainscoting was oiled, as were the four structural arches that rested on pilasters to support the gabled ceiling. Walls were painted gray and the ceiling blue. 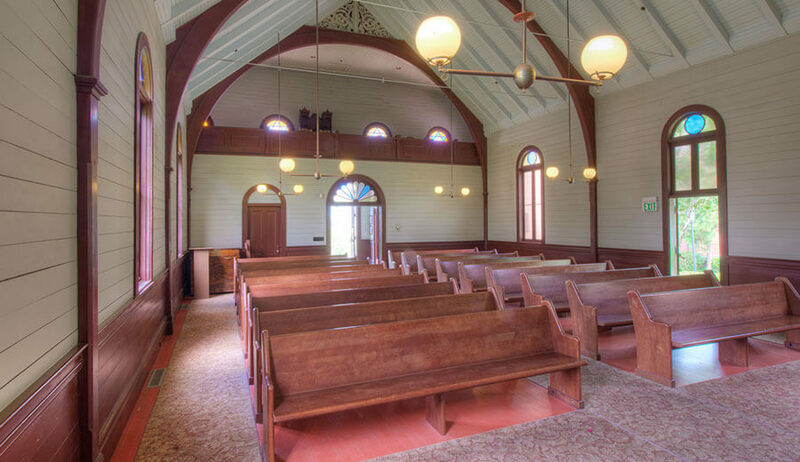 The sanctuary and balcony used 2½” hardwood flooring. There were anterooms on each side of the entrance, with stairs leading to a balcony/gallery. A major part of the scope included extensive structural repairs and seismic upgrades to meet the building codes at that time. The condition of the single-story structure was extremely poor and much of the structural condition was unknown. Upon careful examination of the building, it was discovered that the exterior walls were bowed three inches in the center and some ceiling beams were sagging badly. 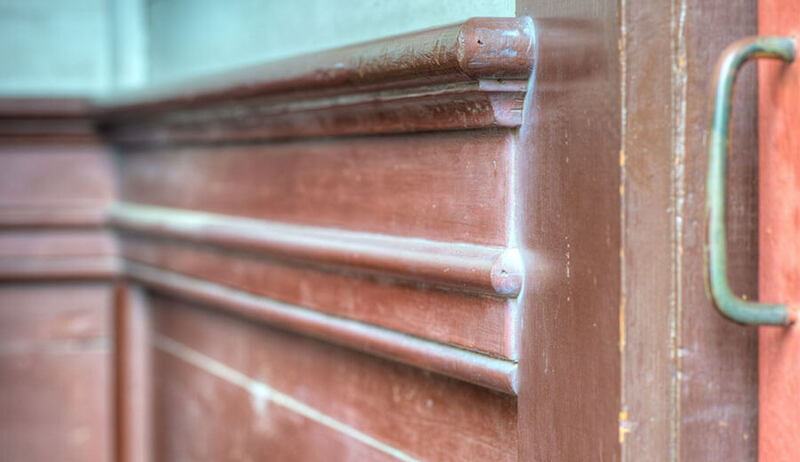 Using specialized construction techniques, Soltek corrected the problem with minimal cost to the owner and without altering the building’s visual appearance.